What are the signs of OCD in pre-schoolers? A recent study in JAMA Psychiatry determined whether increased self-criticism and perfectionism are signs of OCD among pre-schoolers. Obsessive-compulsive disorder (OCD) is a condition that affects people of all ages and walks of life. It occurs when a person has uncontrollable obsessions and compulsions. Obsessions are highly intrusive and distressing thoughts while compulsions are behaviours to decrease the distress of the obsessions. In adults, this condition is often chronic and lifelong, and identifying the signs of OCD as early as possible has serious implications in its treatment and management. Learning from errors and being able to adjust one’s performance is vital for behavioural flexibility. OCD is a dysfunctional response to this adaptability wherein people monitor their performance obsessively and it results in compulsive behaviours. One of the core signs of OCD observed is increased monitoring of their own actions in order to eliminate errors in the future. 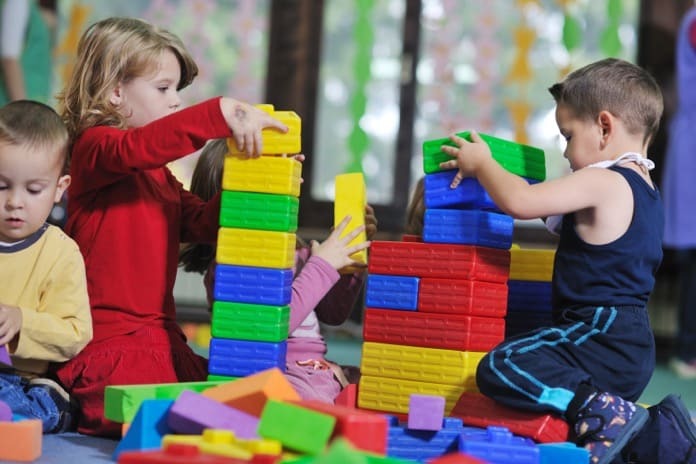 A recent study looked at whether increased performance monitoring in pre-schoolers is an indicator of OCD occurring in the future in the population studied. It was conducted at the Washington University School of Medicine in the St. Louis region in Missouri, United States. The study results were published in JAMA Psychiatry. The study did yield some very interesting results supporting the initial hypothesis. Preschool children who were hugely self-critical were seen to develop OCD over a span of the next 12 years. Thus striving for excessive perfectionism may not be the ideal. It leads to a greater obsession with future events and leaves little room for error in a child who is over-critical of themselves. An important finding is that while perfection and striving for high self-control is considered good by parents and society, it is not always a positive trait to have. In fact, excessive critical outlooks in children is a risky trait, indicating a high tendency to develop obsessive-compulsive disorder in their teens. Neuroimaging information gathered from the study also pointed out certain structural differences in the right brain hemisphere of the children who developed OCD during the study. Previous studies have also pointed to this brain structure being linked to OCD. This is further important in recognising risk factors early on for early identification as well as management of the condition, or even elimination. Further monitoring is necessary before determining whether differences in the volume of the area of the brain identified does impact performance monitoring tendencies and eventual onset of OCD. The strongest factor associated with obsessive-compulsive disorder in this study is self-criticism. It is also seen that self-criticism is associated with depression. Important limitations of the study also need to be taken into account, including the fact that an exact structural change or brain region could not be pinpointed. The population was also sampled for depression so existing impairment is a factor in the possible development of OCD. However, it does indicate important findings including how a highly critical parenting environment could spiral into leading to such conditions in the future. Reference: Gilbert, K. E., Barclay, M. E., Tillman, R., Barch, D. M., & Luby, J. L. (2018). Associations of Observed Performance Monitoring During Preschool With Obsessive-Compulsive Disorder and Anterior Cingulate Cortex Volume Over 12 Years. JAMA Psychiatry.